Mai and Sayaka have joined the rebels, which means Nene is overjoyed to see another full chest among the ranks. Lest we forget who spoiled Nene all this time, Kaoru's and Hiyori's jealous pettanko stares pointed right at Ellen. Another yuri pair was cemented this week, with Sayaka getting enticed by Mai's cookies. That's what the kids are calling it these days? 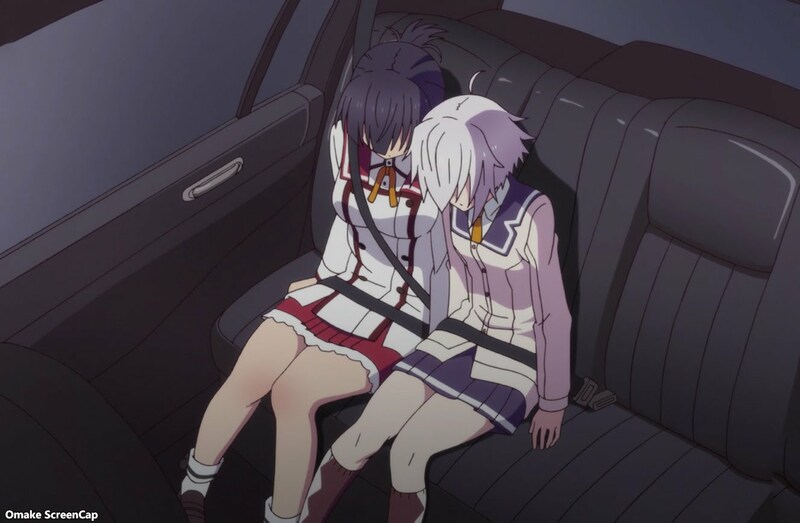 Kanami is a good yuri friend. She likes sharing Mai's... cookies.